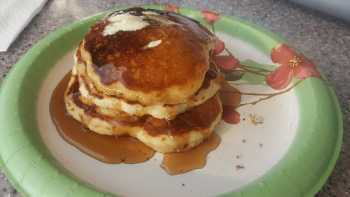 Light and Fluffy Homemade Pancakes…best recipe ever! I made these and they really are the BEST EVER! I found these on Pinterest so I give a shout out to Patty Limatola-Tanenbaum at mmgood.com These are now my favorite. They are fluffy but won't leave you feeling like you ate a brick. 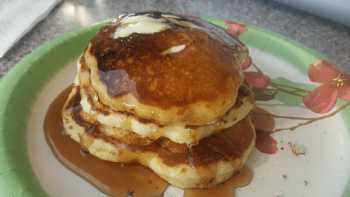 And this recipe makes a dozen pancakes. Combine the milk and vinegar in a small bowl for 10-12 minutes and set it aside. During this time I also melted my butter on the stove top to allow the butter to cool off a bit. In a large bowl, add your flour, sugar, baking powder, baking soda and salt. 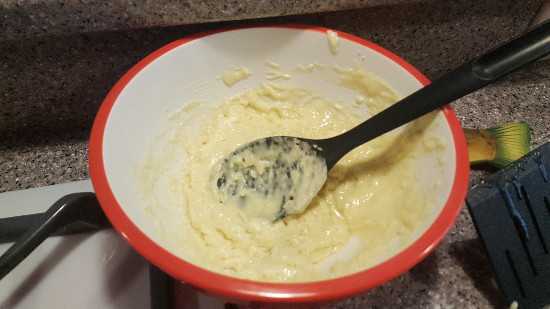 In a smaller bowl, whisk your egg, add the milk and melted butter together, mix well. Add your vanilla extract to your wet ingredients. 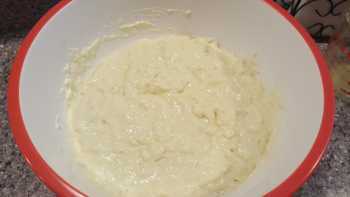 Pour your wet ingredients into the large bowl of your dry ingredients and whisk. 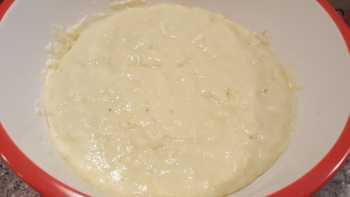 The dough is very thick, do not add any liquids to it and do not over mix it. Let it sit for 2-3 minutes before cooking off on a hot skillet. The theory behind the vinegar is that the vinegar would help to activate the baking powder and baking soda and ultimately allows for the fluffiest pancakes ever, I promise! After trying many times to find the right balance, I did it, I created a recipe that I feel is one of the best recipes for pancakes I have ever made. The best part is that all of the ingredients are in your pantry so you don’t have to make a special trip to the market. The vinegar amount used for my pancakes is white vinegar, you will not taste the vinegar in the pancake but make sure it’s white distilled vinegar not white wine vinegar. 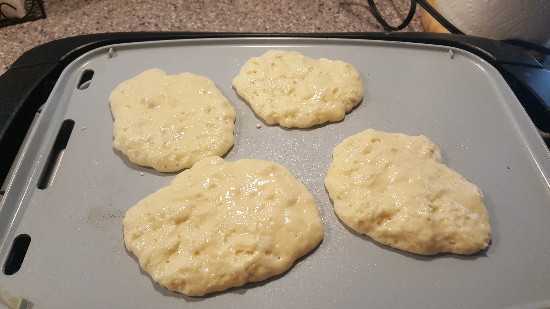 Also, if you think just adding buttermilk will make the same fluffy pancake…think again…I promise you that if you did a side by side comparison, the pancakes with the vinegar and milk are much more fluffy and much more tastier. 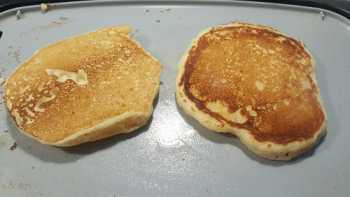 This batter is very thick, so do not add any additional liquids, do a light mixing prior to placing on your hot skillet. So basically add the vinegar to the milk and let it sit for about 10-15 minutes. Meanwhile, melt the butter, I do mine on the stove but a microwave works fine, I put everything aside and got a large bowl and put all my dry ingredients in it. Hello, I love to cook but I rarely create my "own" recipes. But I see all kinds of recipes on Facebook and other sites that interest me and I like to share them with others. Some I make and others I want to make, so I decided to add them here and save them to my Cookbook. I hope you like them and I will give them credit where credit is due as these are Not My Recipes.